Best 7 Layer Party Dip! 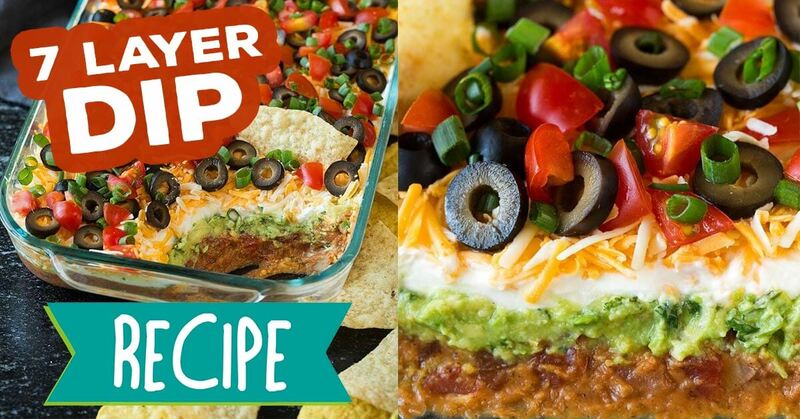 If you're hosting a party anytime soon, you're gonna want to make this amazing 7-layer dip. This crowd-pleasing dip is easy to make and tastes great. Mash avocado with lime juice. Mix in cilantro and season with remaining 1/4 tsp garlic powder and salt to taste. Spread into an even layer over the bean layer in baking dish, then spread sour cream over avocado layer. Sprinkle with cheese, black olives over sour cream layer then top with tomatoes and green onions. Serve with tortillas chips. Dip can be made a day in advance, just cover and refrigerate until ready to serve.